The Republic of Turkey Prime Ministry Investment Support and Promotion Agency (ISPAT) is the official organisation for promoting Turkey's investment opportunities to the global business community, and for providing assistance to investors before, during and after their entry into Turkey. Directly reporting to the Prime Minister, ISPAT is in charge of encouraging investments that are needed for the further economic development of Turkey. To this end, ISPAT supports high-technology, value-added and employment-generating investments with its facilitation and follow-up services during whole processes of relevant investments. Active on a global scale, ISPAT operates with a network of local consultants based in countries such as Canada, China, France, Germany, Japan, Saudi Arabia, Spain, the UAE and the US. ISPAT offers an extensive range of services to investors through a one-stop-shop approach, ensuring that they obtain optimal results from their investments in Turkey. ISPAT's team of professionals can assist investors in a variety of languages, including Arabic, Chinese, English, French, German, Italian, Japanese and Spanish. ISPAT's consulting services offer investors general and customised business information, such as providing updates and guidance on: the latest laws and regulations with respect to FDI; establishing a business in Turkey; sector-specific and macroeconomic data; state incentives; operational costs; taxation, as well as detailed industry analysis and market reports in various sectors in an effort to help global investors fully comprehend the potential of the Turkish market. One of the essential services provided by ISPAT to newcomers and the existing investor community in Turkey is the coordination and maintenance of relationships with governmental bodies, local authorities, business associations, and other stakeholders such as universities, service providers and non-governmental organizations. ISPAT plays a key role in facilitation of ad hoc B2B and B2G meetings, functioning as a bridge between the government, private sector and investor. In order to provide smooth entry into Turkey, ISPAT assists with the initial introductory connections and meetings with potential suppliers, customers and service providers based upon the needs of the related investment project and investor. Services offered for projects that fall within ISPAT's field of responsibility involve informing investors about bureaucratic processes and procedures and following all stages of the investment processes. The latter involves assistance with establishing business operations, work and resident permit applications, incentive applications, environmental impact assessment processes, and other relevant licenses. Every phase is handled with a result-orientated, tailor-made approach aimed at facilitating and accelerating bureaucratic procedures from beginning to end, step by step. ISPAT's site selection team takes the lead on all investment related processes, including searching for available sites and conducting land studies with required information about costs of acquisition, electricity connection, natural gas, water supply, and other utilities. ISPAT's support for site selection services is not limited to desk-bound research, but also includes holding site visits with investors, following up infrastructure work, coordinating land development, and collecting all related data and information on-site with regard to feasibility. ISPAT provides investors with logistical support for their visits to Turkey. ISPAT's team of professionals not only organises meetings with the business community and governmental bodies, it also plans the whole trip for investors, allowing them to have peace of mind during their visits. ISPAT helps investors to find a suitable location for accommodation and provides transfers from the airport to the hotel and meeting locations. ISPAT offers project launch services to investors that decide to invest in Turkey. These services include creating and distributing press releases to mark the announcement of investments, organising groundbreaking and inauguration ceremonies, and other related PR activities for the launch of the investment. When it comes to international investments, cooperation between international and local companies may be very beneficial for both sides. ISPAT assists both multinational and Turkish companies to find suitable partners for possible joint ventures, M&As and projects to be run in Turkey. ISPAT does not abandon investors after their projects are completed; it continues to stay in contact with investors on a regular basis in order to ensure that every phase in the continuing life cycle of the project goes smoothly. 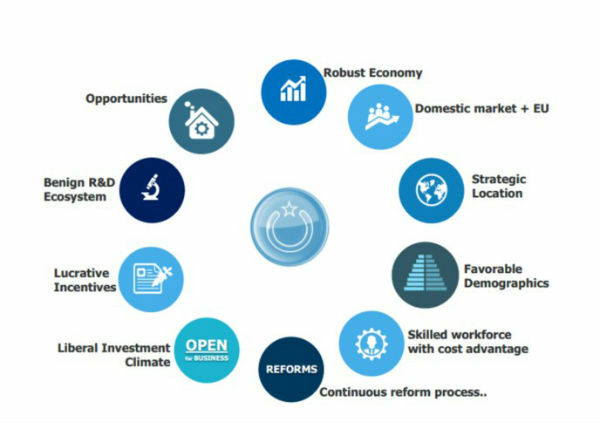 Whenever an investor in Turkey has an investment-related issue, ISPAT provides a wide range of exclusive aftercare services, such as mediation between the government and investors, expansion assistance, workshops and surveys about the investment climate, and policy advocacy regarding the investment climate.